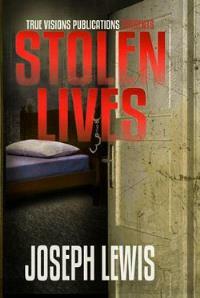 Stolen Lives is a thriller on the topic of child abduction and the search for missing children. Based upon the author's work as a counselor and the research he did on the topic while working with a foundation for sexually exploited and missing children as an out-reach educator. Three fourteen year old boys, Brett McGovern, Stephen Bailey and Michael Erickson are inextricably linked by abduction and murder. Brett, who was abducted from Indianapolis, fears that his captors will decide to kill him. More recently, two boys from a Milwaukee, Wisconsin suburb, Stephen and Michael, have been abducted, and the detectives on the case know that if they are not found within 24 hours, any chance of finding them is remote and they will be gone forever. A fourth boy, George Tokay, a Navajo, holds a key piece to this puzzle and doesn’t realize it. Pete Kelliher and his team of FBI agents from the Crimes Against Children Unit have been tracking the murders of children for the past two years. He believes that if they can find these two boys, they might find the answers to the questions that have been eluding them. He and his team race to find Stephen and Michael before they disappear forever. There isn’t much to go on, and each time he gets a break, potential witnesses are found dead. As Pete and his team investigate, the stories of these boys are like loose threads on a sweater: pull the wrong one and it unravels completely. Slowly, Pete comes to the realization that one or more members of his own team might be behind it all. There is injury and death, some of which is Pete’s fault and that causes him to question his effectiveness and his future. 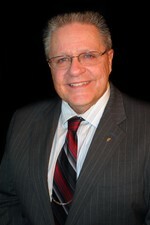 Joseph Lewis is currently a high school principal, and former teacher, coach and counselor, having been in education for 38 years. His first book, Taking Lives, is the prequel to his trilogy and introduces him to readers and readers to his trilogy. Based in part on fact and research, both Taking Lives and Stolen Lives are works of fiction, with Stolen Lives being the first book of his trilogy. Lewis works to shed light on the horrible truth of child trafficking and child abduction that unfortunately takes place in our society. He is married and has three children, and lives in Virginia.